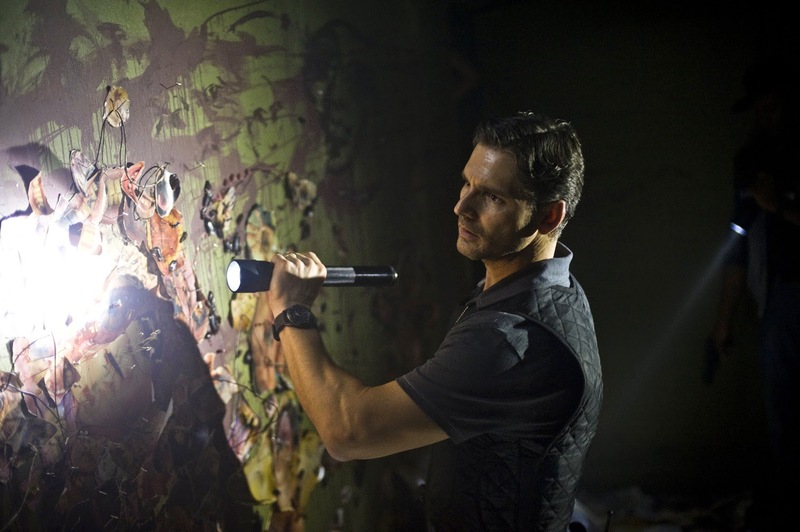 One of filmdom's most engaging actors, Eric Bana (“Star Trek,” “Lone Survivor”) stars in Columbia Pictures' supernatural thriller “Deliver Us from Evil” as real-life New York police officer Ralph Sarchie who joins forces with an unconventional priest schooled in the rituals of exorcism, to combat the frightening and demonic possessions that are terrorizing their city. Bana was drawn to the role of Ralph Sarchie in because he saw something in director Scott Derrickson’s previous work which transcended the horror genre. “Scott’s movies, like `The Exorcism of Emily Rose' and `Sinister,' are really incredibly written and performed character films that are set in genres. And when I met with him, I felt that I just had to do the film. He has total respect for the genre, knows more about it than anyone I’ve ever met, but understands the importance of character and story. “I was also attracted to the character of Ralph Sarchie,” continues the actor. “I was very much intrigued by the genre and subject matter that was wrapped around the story, but when I read the script, what jumped out to me the most was a brilliantly written, intense and fascinating character who I thought would be a really great challenge to play, and the kind of character that I like to go to the movies to see. “I liked the fact that Sarchie was this really tough, experienced street cop in the Bronx, who ends up being exposed to a world that’s so far removed from the practicalities of police work. At the beginning, we have a character whose belief system is founded purely on facts and physical things. Ralph’s journey is what makes it so intriguing. This is the one time in his career where procedure is blocked because of inner demons and his past doings, and he has to deal with that. In this case, Ralph has to deal with something very dark from his past, and deal with it in a very dramatic way in order to move forward as a person. The subject matter of “Deliver Us From Evil” raised questions to be pondered not only by audiences, but also by the cast members. “During pre-production,” says Bana, “I was exposed to some materials and tapes about exorcism which, on the one hand, were beyond fascinating, beyond interesting and beyond scary. They are materials not for public consumption, so I had mixed feelings about seeing some of them…one in particular did have an effect on me, and I found it extremely difficult sleeping and being in a room by myself for a week after seeing it. “My thoughts are that there is definitely something that exists which, unfortunately, leads to a very large amount of human suffering,”concludes Bana. “However that’s described or diagnosed is actually completely irrelevant. At the center of it is a massive amount of suffering and pain. Ralph Sarchie, in doing what he calls ‘The Work,’ goes and helps people deal with these things. I have no doubts that there will be moments when audiences will be truly scared, but it’s really something truly different, which is always exciting.